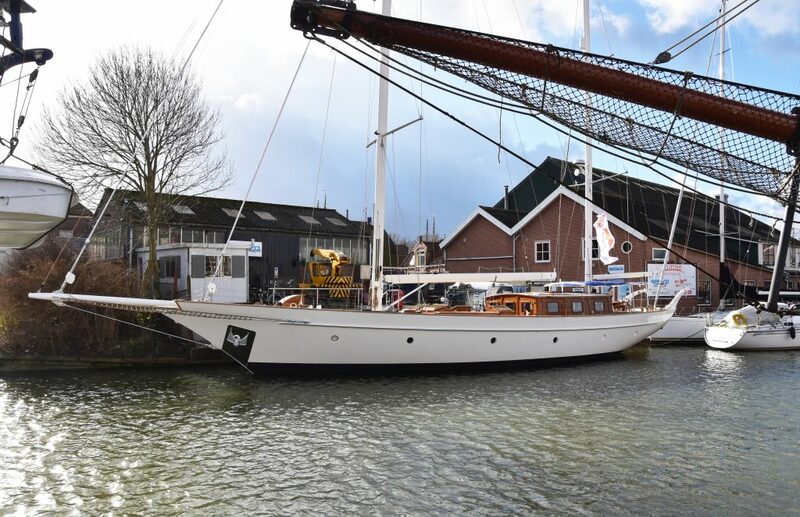 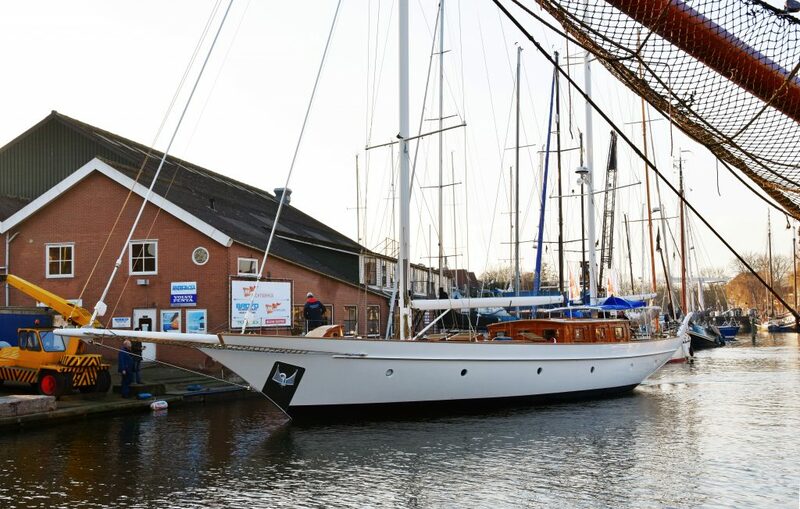 At this moment the Spirit Of Venice is at our service yard in the centre of Enkhuizen. 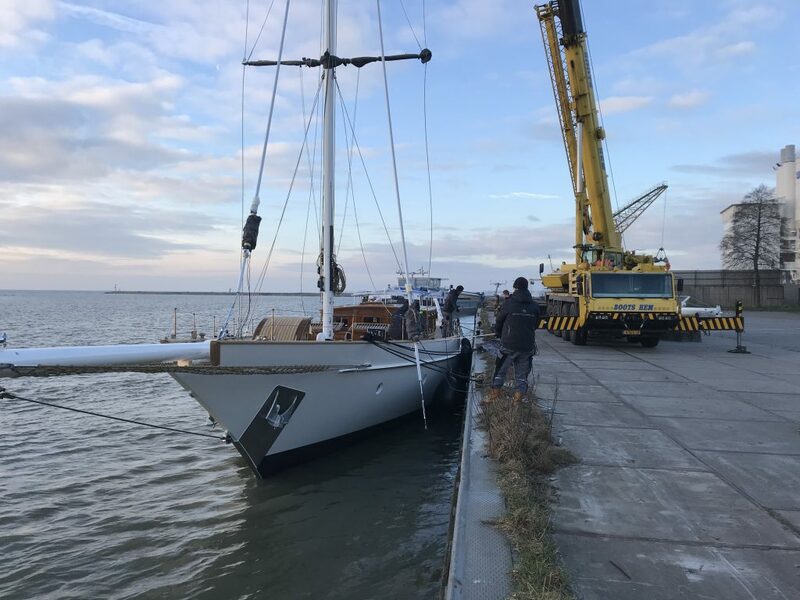 On February second, the yacht hit the water. 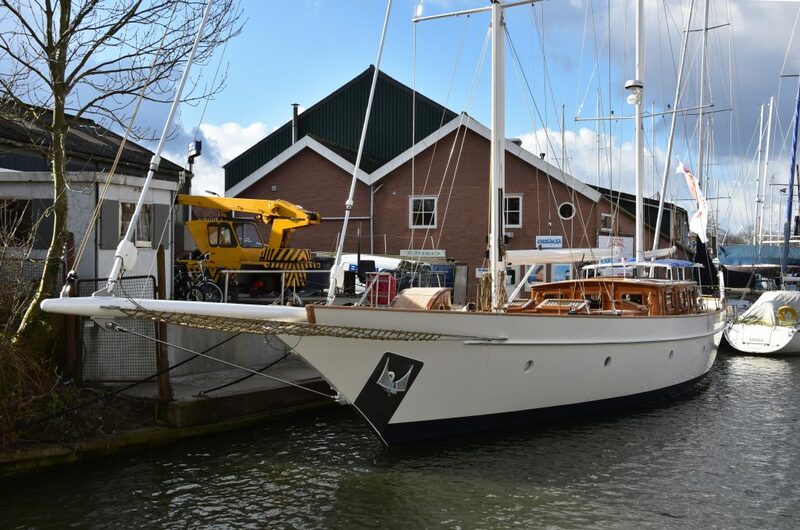 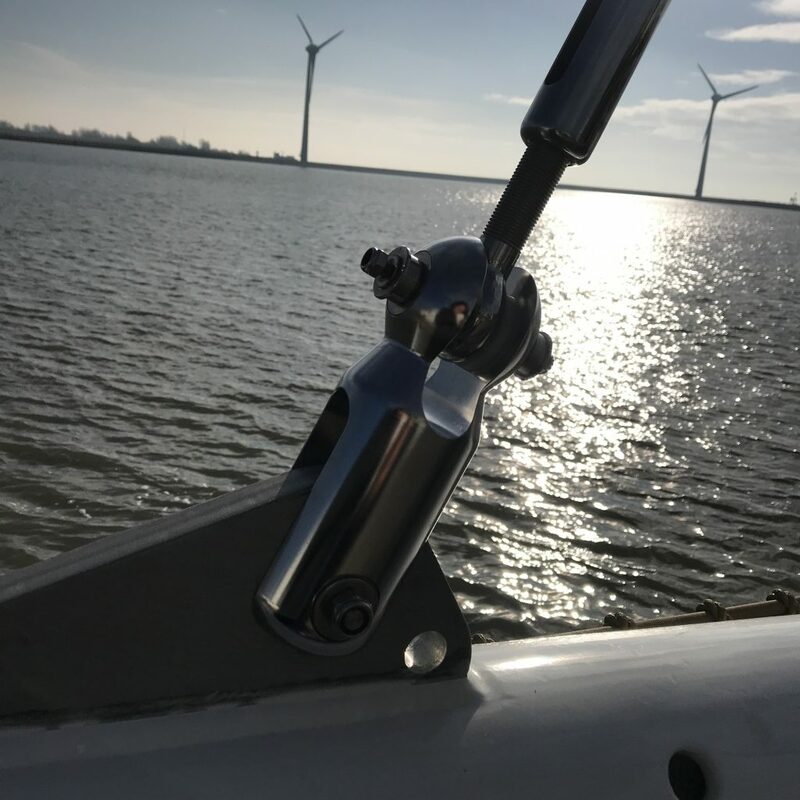 Thanks to the good care of De Gier Maritiem the whole process went really smooth. 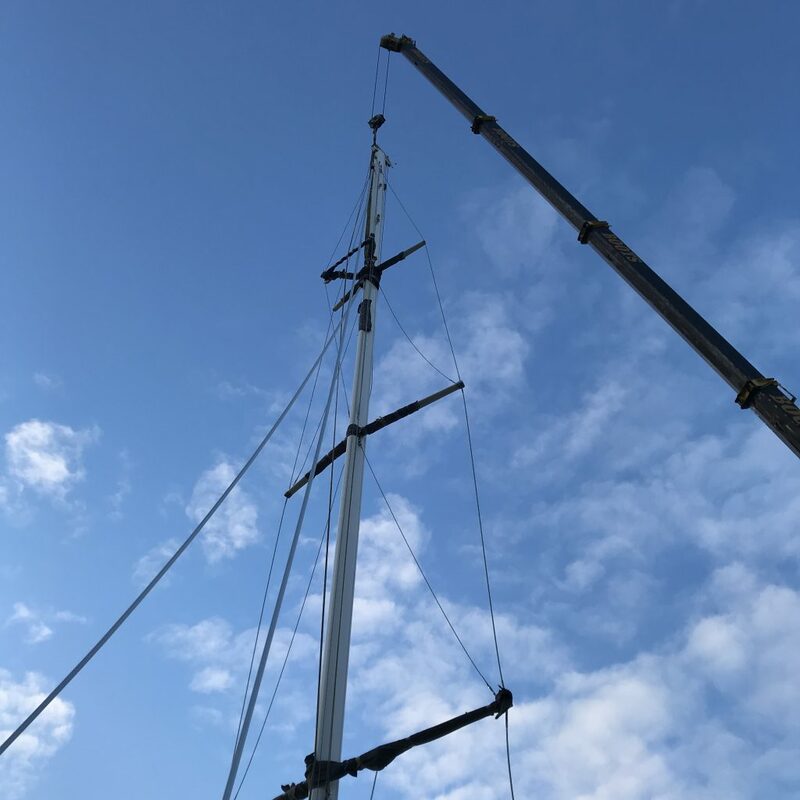 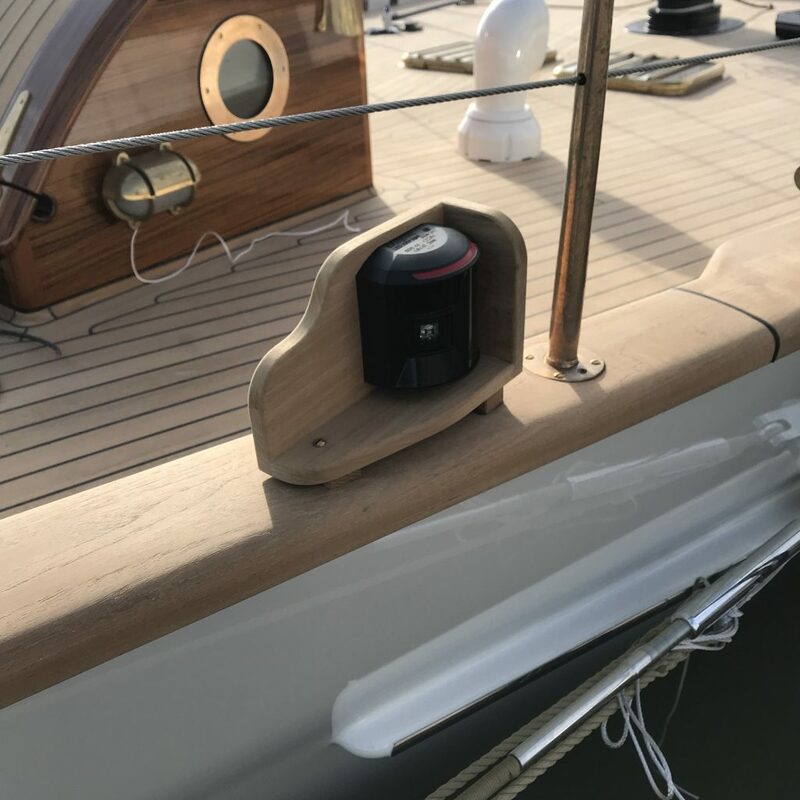 After a week of check ups and tests the yacht was ready to put on the rig. 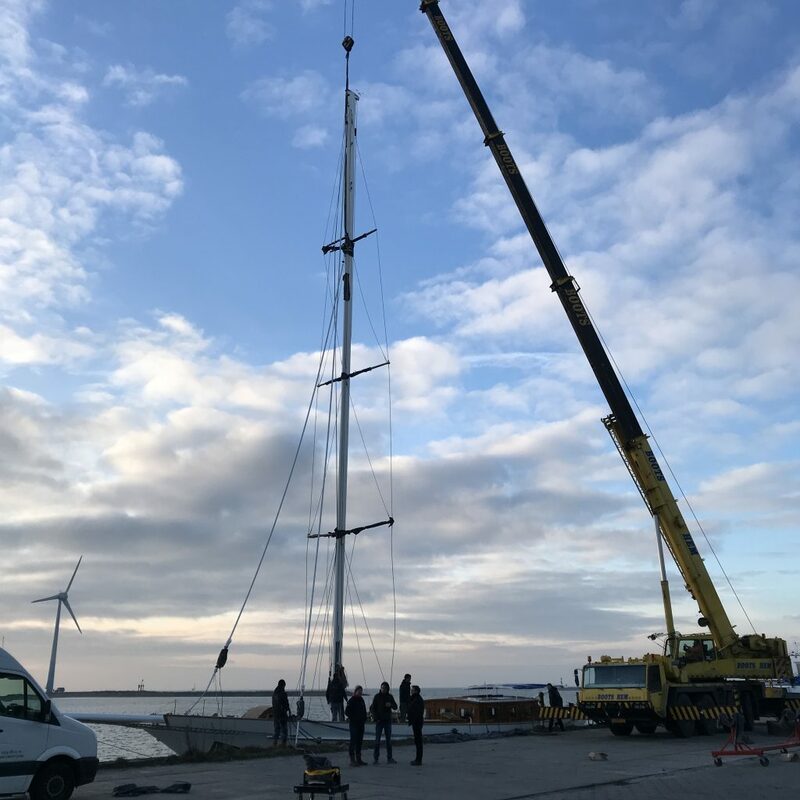 Tuned Rigs and ropes prepared the 2 masts and De Groot riggers from Stavoren put on the two masts. 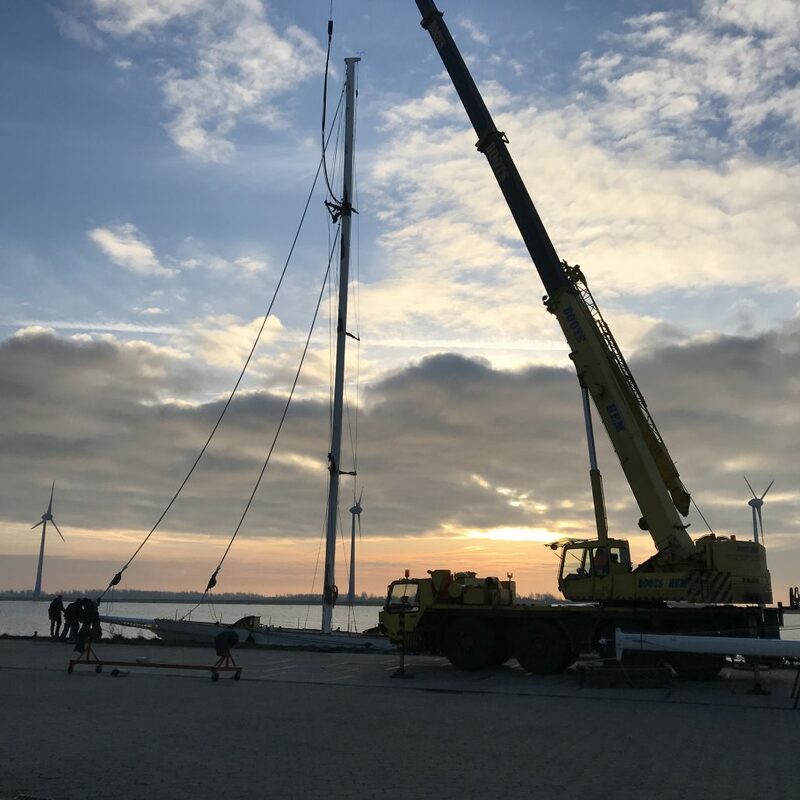 In the pictures below you can see this process. 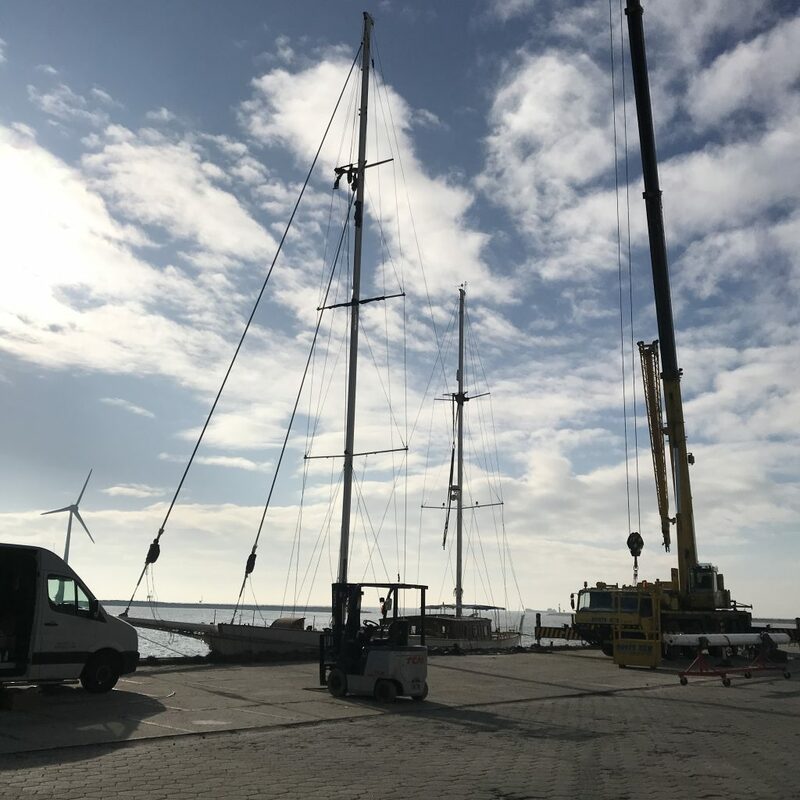 After this the yacht was moored at the VMG service yard for the final assembly, tests and sea trials. 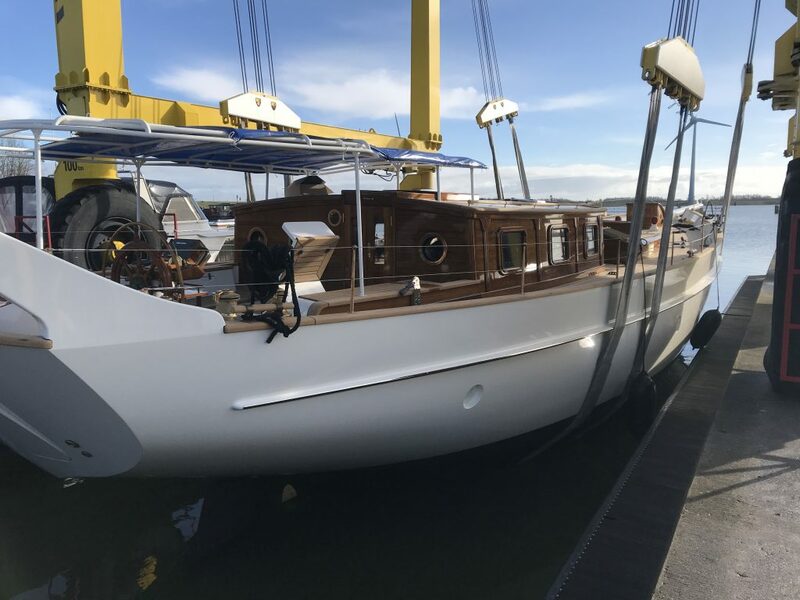 The yacht will be delivered to the owner in early April.